Add style, fun and functionality to your outdoor space and make the most of summer under the cool shade of this classy Cantilever Umbrella. 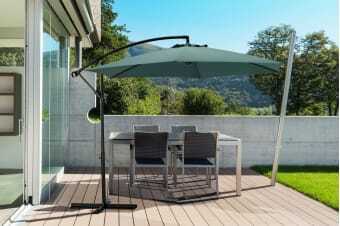 With the Outdoor Cantilever Umbrella by Komodo you can entertain guests in style all year round! 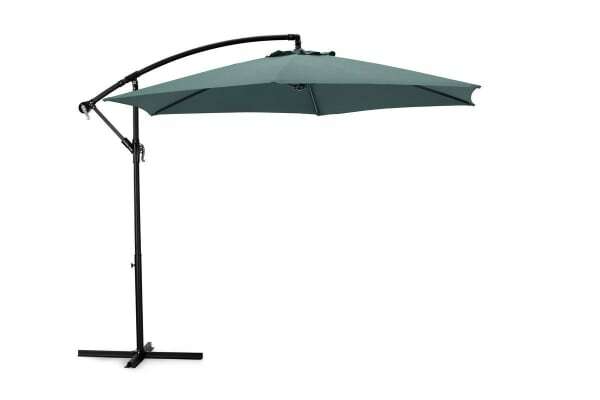 A diameter of 10 feet (3 meters) makes it large enough to accommodate many guests, and you’ll find it convenient to place it in a variety of outdoor areas like by the poolside or in your backyard for summer barbeques! Product requires a weight such as a weight bag, sandbag or concrete slab. Available from most hardware stores.